Coworking is coming to East Wash Park. 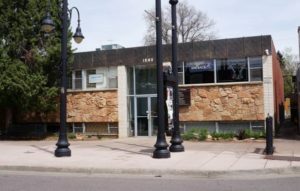 Elea Development (a Grant Real Estate Company partner) purchased a one-story office building in the heart of South Gaylord Street for $2.9 million on April 17, city records show. The company – which previously has focused on residential scrape-and-builds in surrounding neighborhoods – plans to gut, reface and refurbish the 1965 building’s 6,900-square-foot frame into a humming coworking space. Read the full article here at www.BusinessDen.com.